It's Magic! Where Dreams Become Reality. There is a show to fit any venue, budget or event. From a Stand-Up Magic and Comedy show to a full 2 hour Grand Illusion Show with all the Glitz and Glitter of Las Vegas and several shows in between. You will be astounded, amazed, mystified and entertained as you witness illusions that defy explanations and stretch the limits of your imagination. The show takes you on an emotional roller coaster that will take you from laughing to sentimental tears. This award winning show has entertained tens of thousands throughout the United States. 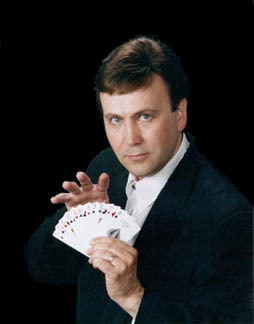 Your audience will feel as if they are part of the show when Terry uses several volunteers to help create the comedy and spectacular magic! A show that soon won't be forgotten.